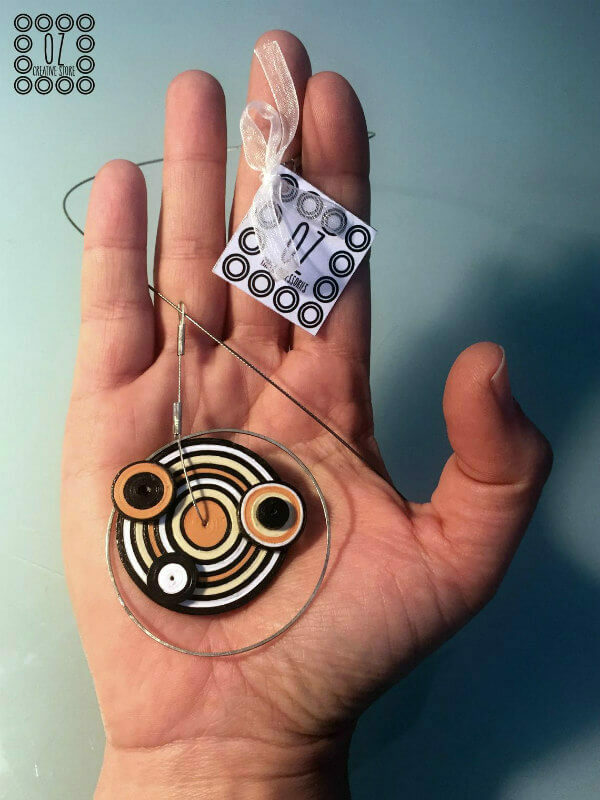 Shiran Shashua in Tel Aviv, Israel and owner of Etsy shop The Morning After Jewel creates necklaces, earrings, rings, and bracelets with contemporary flare. 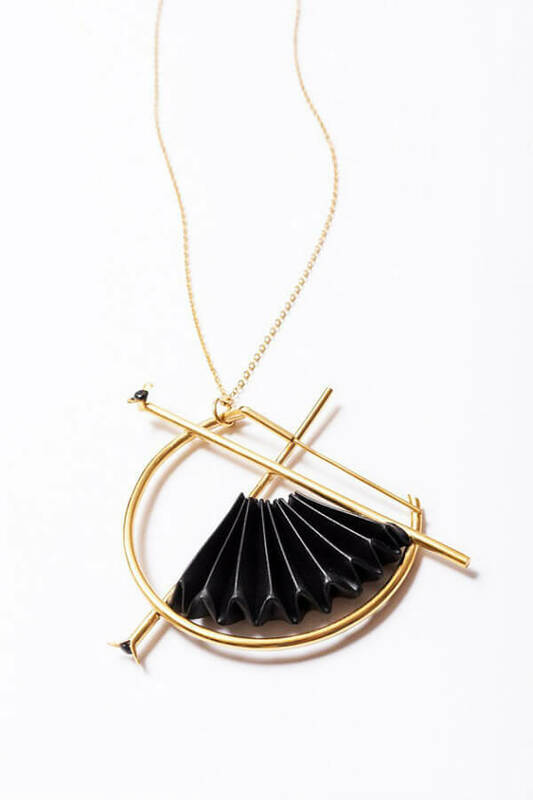 The dramatic Compass Necklace with its folded fan is a true statement piece and is offered in four variations. You have the choice of a white or black element... the black is actually polypropylene... perhaps best suited to the person who won't accept that a paper jewelry element is truly wearable (but it is! ), while the white is durable, premium paper that can be personalized with your choice of words. 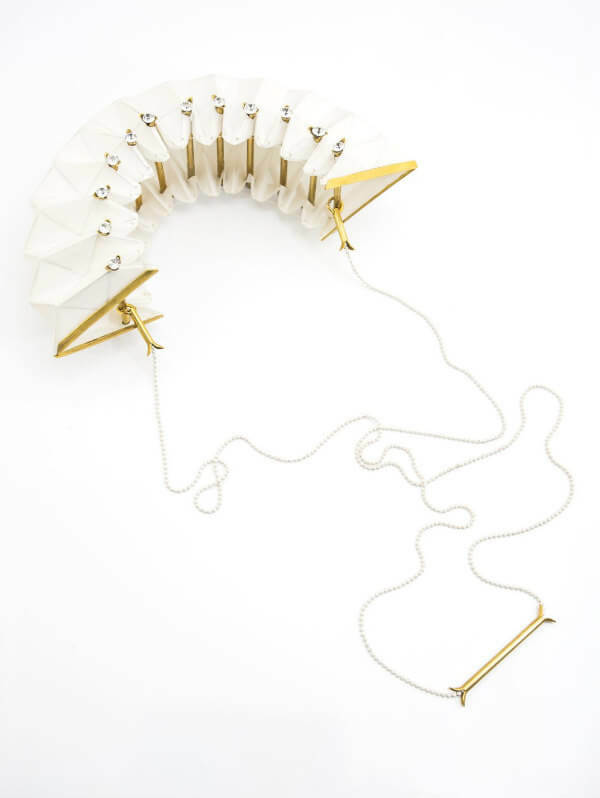 Below, Shiran's stunning necklace features premium paper along with gold plated brass rods and Swarovski crystals. In addition to Etsy, you will find her on Facebook. Jayme of Etsy shop No Mans Land Studio in Tacoma, Washington crafts lightweight and comfortable to wear necklaces and earrings from sustainably harvested wood, authentic vintage Japanese papers, vegetable based resin, and brass. 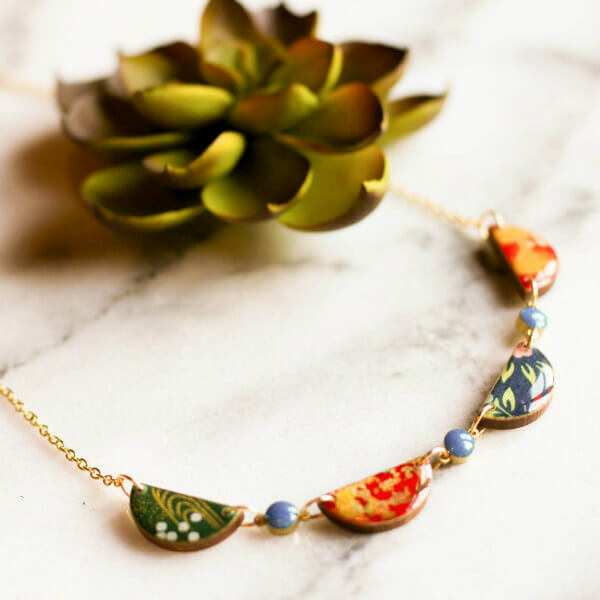 This colorful necklace features three yuzen papers combined with maple wood and resin beads. 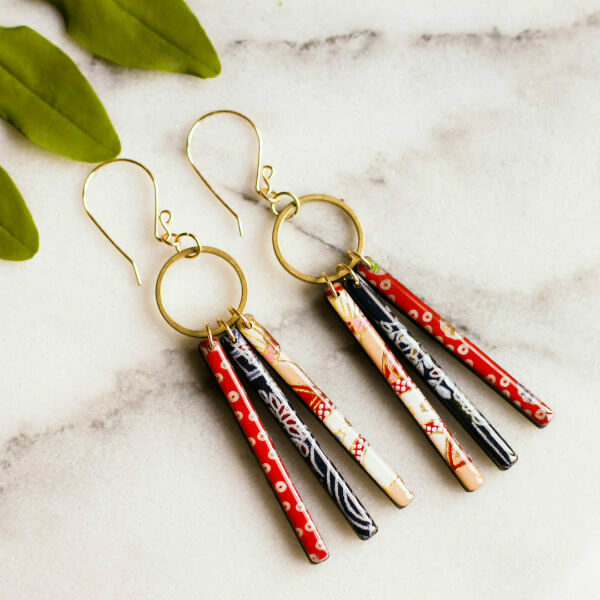 These dramatic cherry wood, Japanese paper, and brass earrings are available in a number of paper choices. 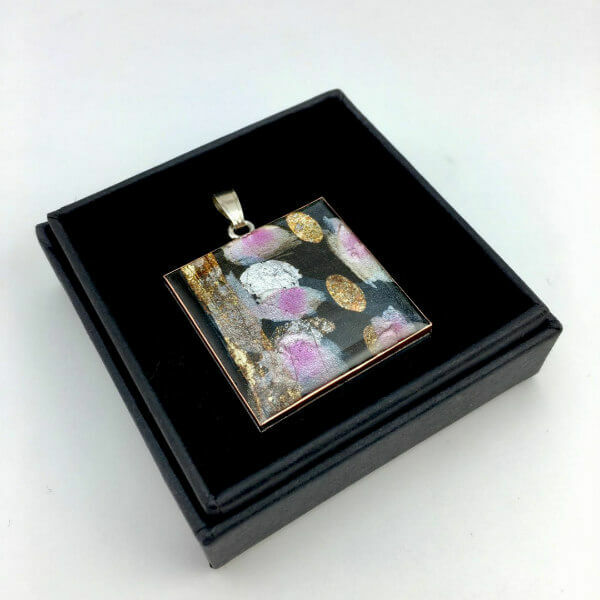 Jayme also makes unique postage stamp resin jewelry. Her website is No Man's Land and she is @nomanslandartifacts_ on Instagram. Malena Valcarcel's imaginative book art has been featured on this blog previously and I always enjoy a browse in her Etsy shop, Malena Valcarcel, located in Alicante, Spain. 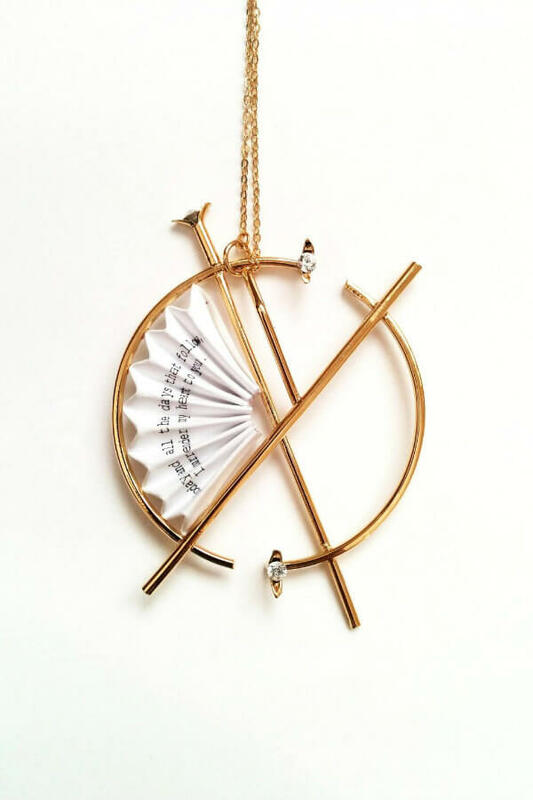 How lovely is this necklace? 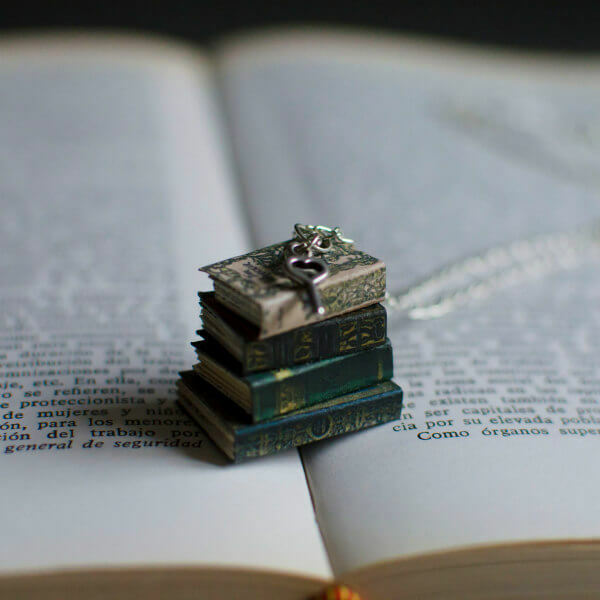 It's a dear stack of books with a teeny tiny key! 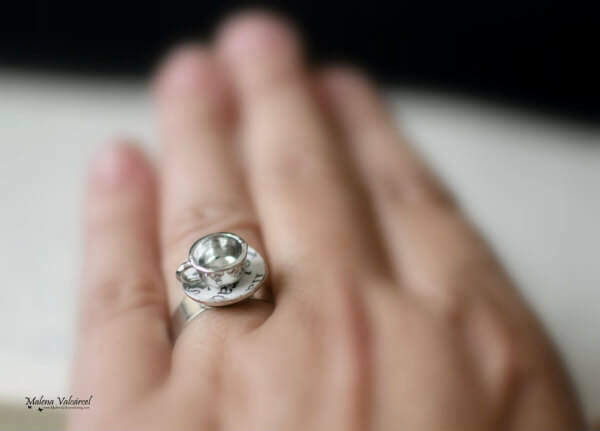 And this tiny cup and saucer ring, inspired by the Mad Hatter's Alice in Wonderland tea party is an adorable conversation piece. Malena is @malenavalcarcel on Instagram. 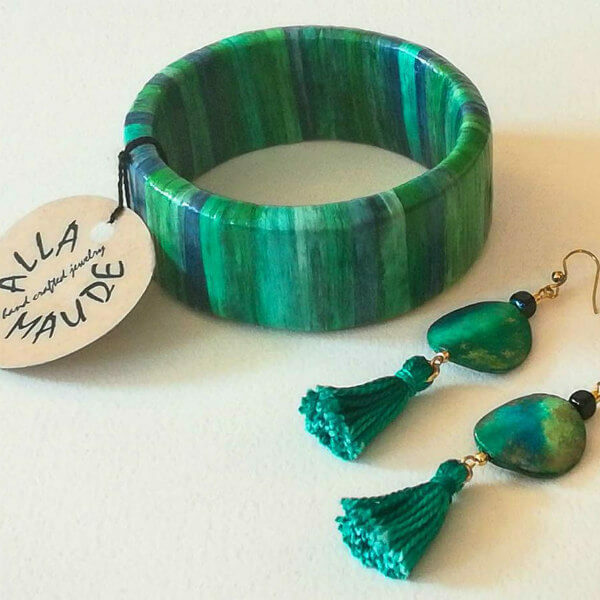 Luda of Alla Maude in Long Beach, New York recycles newspaper and cardboard to make a variety of water resistant earrings and bangles. 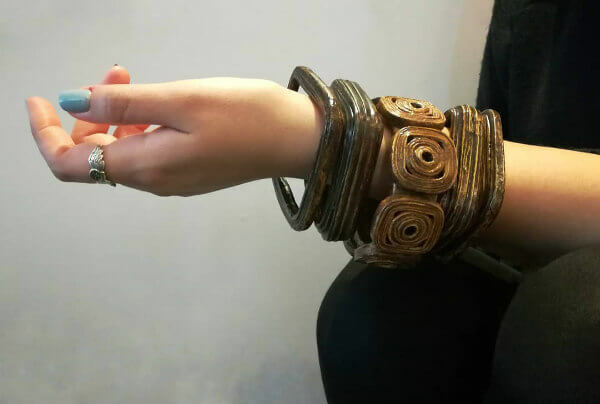 They range from colorfully modern, like these earrings and bracelet, to the rustic-earthy bangles in the photo below that look very much like wood. Follow along with her newest work on Instagram (@allamaude) and visit the Alla Maude Etsy shop to see more. From the rugged, boho look above to feminine, feather-light paper cuts, the many faces of paper jewelry never fail to amaze me.... there is something for everyone! 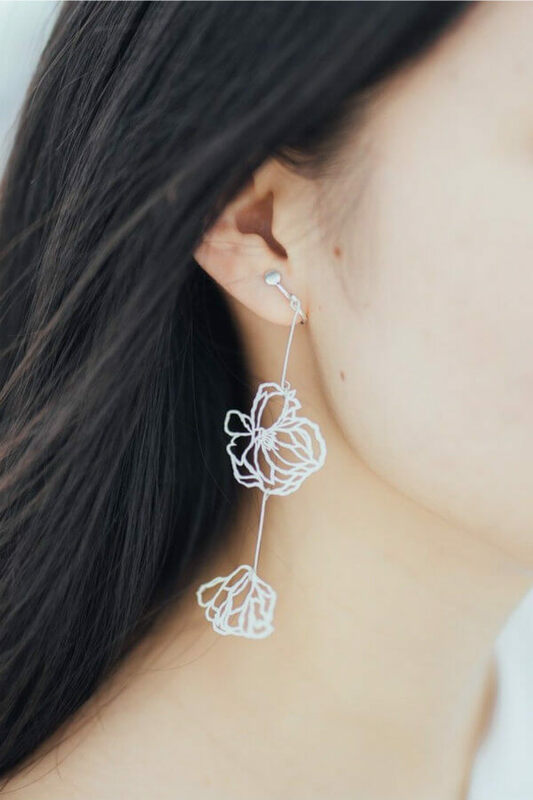 As an example of the latter, Jeanie Ho of Etsy shop Plucking Peonies in Sydney, Australia creates fine jewelry with durable waterproof paper, sterling silver and, of course, lots of patient work. With art degrees earned in Hong Kong and Australia, Jeanie traveled to Japan where sakura blossoms inspired her floral work. 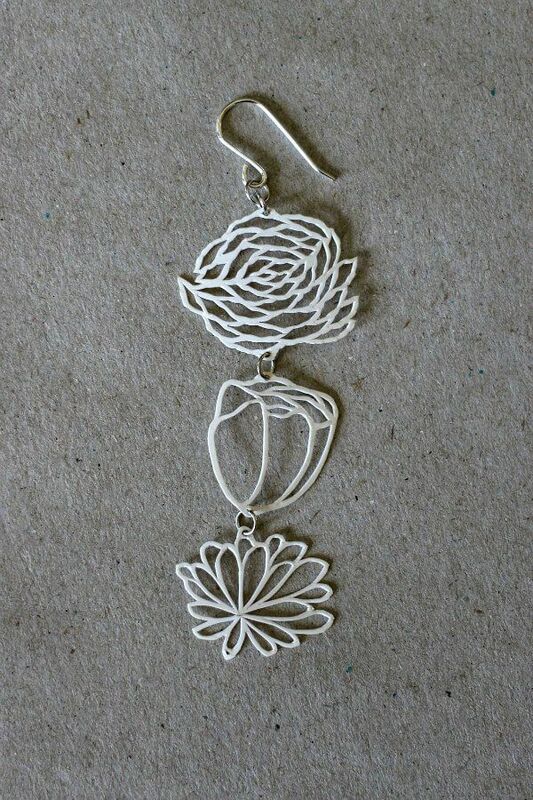 Each hand cut flower is as light in weight as a real one and just as beautiful. I came across her on Instagram (@pluckingpeonies) and have been wowed repeatedly as new designs appear. I've shown you Hilary Bravo's work previously, but it's high time to bring it to your attention again. In addition to her Etsy shop, she has a beautiful new website where you can learn more about her contemporary paintings that she cuts into fragments, mounts on a papier-mâché base, coats with epoxy resin, and wraps in copper... each is a framed miniature art piece. The pendants, brooches, and earrings arrive packaged in a stylish matte black box, so nice for gifting. With Mother's Day quickly approaching in the UK, it's an ideal time to visit Hilary's Etsy shop. She is located in South Devon, England, has an enjoyable blog, and is @hilarybravo on Instagram. OZ Creative Store on Etsy is in Rome, Italy. 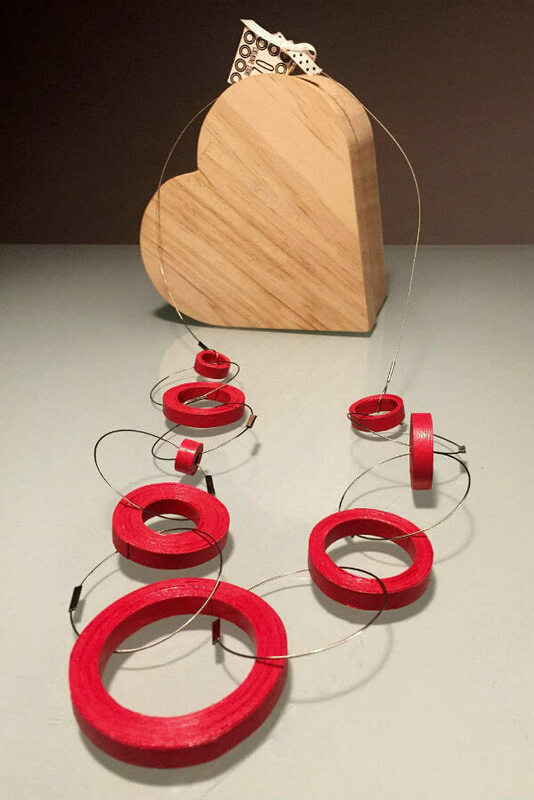 OZ combines coiled paper circles with flexible steel wire to create necklaces, earrings, and rings that have a bold, modern look reminiscent of iconic Alexander Calder mobiles. 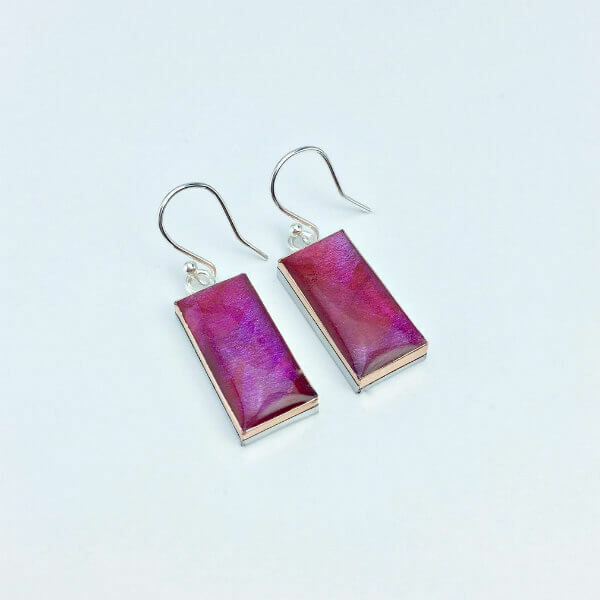 Each attention-getting element is protected with a natural resin. Follow along on Instagram - @oz_creative_store. All Things Paper is an AWIN and Amazon affiliate. what a great round up! I see some new jewelry in my future. I'm glad you enjoyed it, Stephanie!